Hello all in the house, I need help solving these below problem of myself. I run a small business that was booming with many customers which we have lost nearly all to our competitors and I have been trying to bring them back even when I lowered down our price to see if that is the problem yet they still buy at higher price. (1). Currently, we have one client with contract work and the procurement has been looking for another company to replace our service. So I need a spell/conjure that will stop or change their mind to us and avoid them looking for other client to replace us. (2). I need to bring back those old customers that has gone away to our competitors. (3). I need to make success in the business in terms of selling more to back out our competitors even so the clients will always give us the deal instead of our competitors. Note that all our correspondence is via email and phone calls majorly and they hardly accept hard copy of any document. Any advice regards to the above is highly appreciated. And sorry for the long written. I have merged your post to the correct thread. Please read the 2 pages here for spell ideas on how to make your business a success. Hello I hope it's ok for me to seek your advise under this heading. I am embarking on a new venture career and business-wise. I will be starting up in a different country where in order to get ahead, one has to have a network of influential people in the right places. I would like to be able to make these connections easily. I have lots of ideas about what I could do to make a good income but find myself stuck and unable to prioritize. This usually causes me to stagnate. I would love to be able to organise my thoughts well and set goals and have the courage to see them succeed. I am also in need of financial security to help establish the business. I have other financial comitments at the moment that mean less money is available for the venture. While in process of getting established, I will be required to register myself with government organisations as well as apply for licenses. It would be great to have these go smoothly and be approved quickly. The country I relocating to has some challenges with security. Physically and spiritually. Many tribes there practice magic and I would love to be able to protect myself, family, home, car and businesses. My wish is to be a leader in my field of profession and to have a quiet and wealthy life there too. I want to be the best and successful in all my undertakings and to have a wonderful time doing it. I therefore seek you advise in setting up an action plan. I'm not sure how to go about this or where to start (spells,mojohands,oils etc). Based on your recommendation I hope to create a list for my next shopping spree in LM. Some oils I'm sure won't be needed but I thought it wouldn't hurt to give you the whole list. Thank you for taking the time to offer me your advise. You seem clear in your goals. You have a lot on your plate. What you need is an action plan. You could start by choosing three things to work on, then prioritize them. The first thing you may want to do is a Money Drawing spell and start saving funds for the move and to set up business when you get to where you're going. You could also combine with Fast Luck if you need the funds quickly. I'm a big fan of using oils in combination. You might also use some King Solomon Wisdom and Spirit Guide products as part of your ongoing work, to help you make wise decisions and receive guidance from your ancestors. Once you're moved and settled in, you could do a spell to grow your business using Prosperity, Wealthy Way, and Crown of Success. If I ran into trouble with the application process, I would probably try Influence and Jupiter Oil (to influence people in high places). I've mainly suggested oils that you have, plus a few extras. Just my 2 cents. YMMV. Thank you kindly Kalskeep. I will look into the the planetary oil as I'd never considered them before. I am also keen to hear other suggestions or approaches. I pass the test at Nissan. I got to pass the hands on test. I got to be fast . Then I work at Krogers as a over night Stocker. I got to move super fast and get the load done. I looked everywhere and dont know if this is the correct place to post this questions but I need help with my current situation. I know a lot of rootworkers do love work and curse work but do root workers also do work for success in business? Moderators, I am sorry If this is not the right place to ask this question. I would like to work with a rootworker that would help with my business and money. Thank you so much! Many a rootworker does work for success in business!!! Go to this page at the AIRR site (http://www.readersandrootworkers.org/wi ... bling_Luck) and you will see a list on the right hand side of the page of all the workers who do this kind of work. Pick the one you feel most drawn to! Have you first read the 2 pages on this thread yet? There's good spell advice here. I wanted to know if I could get some help for business. I have 2 businesses and neither of them are a success, i'm having money problems with them both and it feels as if there is a blockage on any success for them. I have seen a few spells with washing the pathway outside the business however my business are online businesses and I work from home so I do not have a Shop to do this to. I would like to know of the best way to go about removing any blockages for my businesses and also some work to help get both businesses to be successful and for money to come in steadily. Any help or advice would be appreciated as I am at the stage of losing them both. Thank you for your help, I will introduce myself on the introduction thread. I will look into the thread you have suggested and come back if I need anymore help. i am not sure if this is the right place to post this, I work online and would like to get my online manager and co-workers to like me and stop picking on me...and to be very happy with my work. I started a travel business 2 years ago and it has not made any monies at all. I currently have a few items book but would like to be generating a steady income from this ASAP. I also ventured out on a life coaching business, in the process of obtaining the certificate for that. To date although many persons wishes me to coach them i still do not have a paying client. I met a very well connected lady two weeks ago and thought she would become my first paying client, bringing other with her but to date nothing. I need my businesses to start generate a significant source of income for me, what do you suggest I do. I am not seeking quick fixes but long term solutions. If you have any questions after that, just let us know. My good friend has a contracting business where her company does clean-outs and rehabs for apartment complexes once tenants move-out and to ready the place for new tenants. Her company is small but does great work but competition is actually quite high. What can I do and she do to give her the edge to win a lot more bids, get her company noticed more, bringing in more contracts and more money? I read through the section but nothing really geared towards winning bids over competition and have more opportunities come her company's way. Thanks! She can do crown of success to be successful in her field and draw in success. A mojo would be good for this work. She can also put look me over and attraction powder on her flyers and business cards and pass them out at businesses. Thanks j82 I don't know why I overlook the power of simply "attraction"!! For several months I have been teaching a class at the home of a friend's. Actually they asked me to teach it. I spend a lot of time preparing and take pride in my work. I prepared a special class for this month and was very excited about. Last month i created and shared with them promotional materials. They refused to print them or make them available. Anytime I messaged about the class and getting the word out they changed the topic. Now of course it is unclear if anyone will be attending. They take 40% of the class fee and feel entitled to attend the class for free. Because they have a large social circle and have in fact been good friends in other ways i have been trying to make it work. This most recent class had the potential to be very well attended and be a lot of fun. So really they shot their own selves in the foot so to speak. It makes no sense that they would work against what they requested but that is what has happened. I am confused, discouraged and working hard not to be angry. These same people expect that I will show up to support or help in their other numerous endeavors. So going forward i know i will not work with them or for them again. I do not wish them any harm. I do want to make a way for myself with support and success. I am just not sure which or what combinations would be good. Also i probably need to calm my own self. Maybe lavender? It is YOU who are the teacher, and YOU who must build your own fame, and YOU who will have success. Without knowing much about the situation, i am going to assume that you are fully capable of teaching on your own, without giving fools like them a 40% cut. So start with some social media outreach.. Work on Facebook, Instagram, and other social media venues to build your own name. If you are up for youtube or an internet radio show --do it. In everything you make and in all the promotional materials you produce, use your name, your business name, and the name of your web site. You DO have a website, don't you? If not, why not? If not now, when? Read this thread from page one onward. There and many great ideas here. USE THEM! You will want Crown of Success Powder and Oil for starting your magical work. Attraction is good too, and so is Look Me Over, but Crown of Success is your ticket to the top. When you order products from us next, ask for our free flyer, "A Closing Circle" in the message area of the order. This will give you a lot to think out as you plan your rise to success. If you don't already have business cards, get them printed this week and dust them with Crown of Success Powder, then flick them to remove excess powder. Hand them out to everyone you meet. Prepare written flyers on letter-size paper as giveaways for every class. Dust them on the back with Crown of Success Powder and snap the papers to remove the excess. I parted ways with them in regards to the class. I held today's class in my home. I made a sugar jar last night since that was on hand. And in general I feel better about going forward. Thank you again for this inspiring advice! This class started with a story, we talked about personal ghost experiences and i suggested some general folk remedies that I have found helpful over the years. It was alot of fun. And now I know i can hold the class in my humble home if need be. I am just so relieved not to be dealing with their antics any more. I will start reading and start planning. I am a hairdresser and for the past two years I have been working for a franchise that has become such a toxic environment that so far 4 people have quit. I know when to jump from a sinking ship; this time with a partner I have decided to go out and get small studio just for us. As i'm sure most people starting a new business feels, Im nervous about being successful and also am worried that I may be carrying some of the existing negativity from all the goings on at the shop I am currently at into my new place. I am planning on making my exit peacefully and respectfully at the end of the year but in the mean time still have to work in that crazy place, and management is not happy about me leaving and seems to be doing as much to make life miserable that it's getting in the way of my work. With the full moon coming soon into Taurus I would like to know what I could do myself and with my partner to keep us strong till our exit, also to ensure that our business venture will start off on a good foot and continue to be be profitable and peaceful in the years to come. Good for you for having the courage to strike out on your own and escape a toxic environment. I think an important step here would be to do some Road Opening and Block Buster work in order to keep your roads clear and free from spiritual obstacles that the management is trying to put in your way. In addition to Sister Jean's good advice, i suggest that you start now to accumulate the tools and the advertising basics you will need -- your new logo, web site, and social media outreach pages. Claim your new company's name. If you don't yet have a phone number and street address, wait on business cards until you get one, but have everything else ready to go so you will have no down time between leaving the old place and starting the new one. On your last day at the old place, leave all cleaning tools behind and go out and buy new cleaning tools for the space -- a symbolic "new broom" is always a good choice. Then go to the new space and clean it. with the new broom, plus Chinese Wash in scrub water. Spritz Peace Water in the corners. Sprinkle Money Drawing Oil at the doorway. Finally, light a white candle of any size. Dress it with Van Van Oil to symbolize changing your old bad luck to new good luck and let it burn. If you have a computer at the new place, then while the candle burns, order your new business cards from right on the premises. That's a great piece of work and you should be proud and happy. I ordered the Crown of success oil today. I bought a domain name. I am working on the website and will order business cards next week. So some porgress is happening. I love the Gene Allison reccording! 1. Please, which products and services do I need to burst church growth numerically and financially? 2. Which products and services do I need for personal power enhancements, favors and acceptability? 3. Does one need to be initiated to successfully cast beneficent spells and do other spiritual work? 1. Attraction to draw interest, Crown of Success for growth and fame, and Holy Oil because the place of work is a church. These may be in the form of oils, powders, incense, or crystal salts to dissolve into floor washes or baths. 2. Attraction to draw interest, Power for personal power, and Five Finger Grass for favours to be granted. These may be in the form of oils, powders, incense, or crystal salts to dissolve into floor washes or baths. 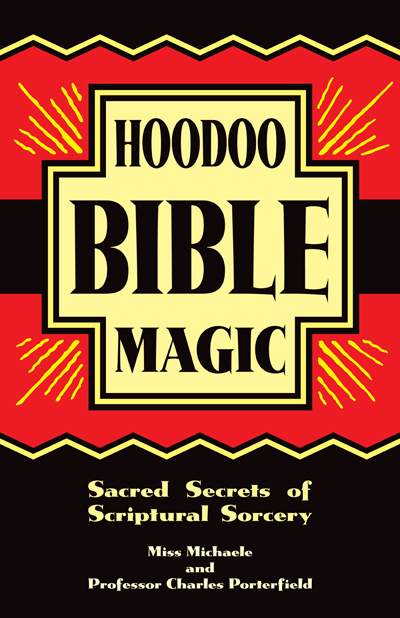 "Hoodoo Bible Magicc: Sacred Secrets of Scriptural Sorcery" by Miss Michaele and Professor Charles Porterfield. These books can also be ordered through Amazon, which ships internationally. Thank you very much Mma for the professional advice. I will do exactly as advised. Thank you so much Sister Jean and Rev Ernest. I thought I lost this post. I will be most definitely doing some workings. I'm still here in this place and its torture but I know with the help for you guys and my help from Miss Cats books I should do great. Be back soon with some positive results hopefully. I have moved your post to this thread, which has appropriate advice for success in business of any kind. Please do not start new topics - do a search of the forum first. Chances are you will find the right area for your question if it hasn't already been answered. Read through this thread and if you still have questions, feel free to ask them here. Meanwhile, these are links to general information on Hoodoo and to give you a jumping off point. I hope these links give you some direction and good luck! I am looking to do some working for a work party I am attending this week. There will be three directors attending and I would like them notice me, take an interest in me, talk to me and see me in high esteem as I want to stand out above all of my other coworkers to be in good stead for my job. I have boss fix, attraction, bewitching, look me over, come to me and other oils and sachet powders. Please can I get some advise on what other oils and powders I can use with attraction and come to me. You seem to have a great selection of products. Do you have any yellow or purple candles? Yellow can be for rewards/attraction or purple for power/success/mastery. I don't know what other oils you have but Crown of Success would be great for this work. I would start by dressing a candle and petition on Thursday (ruled by Jupiter...plus the moon is still waxing!) and burn that candle on the petition while praying for your outcome. The on the morning of the party, take a bath with Look Me Over and Bewitching oils. Take some of the left over water to the crossroads asking the spirit to help you shine like a star at the party. If you can do this at sunrise, that would be best. As you get ready for the party, dress yourself with the oils. I like to use a few drops of Look Me Over blended with Bewitching on my hair to draw attention. You could dress your feet with Attraction by stroking from toes to heel while praying for a promotion. You can put a little of the powders on your hands. Just enough to keep it from being noticeable. If your hands get sweaty, this will help with that too! Have confidence in yourself and your work. It sounds like a great opportunity to shine. Best of luck! That is terrific advice, and thank you for sharing that with a fellow poster. It is much appreciated. I have yellow and purple candles. I will use yellow to represent me and purple to represent them. Do I write the petition as what I desire to happen on the day suchs as, X notices me. X talks to me and takes a genuine interest in me? I have crown of success and road opener too. What oils or powders do I dress the candles they are represented by because I plan to use bewitching, come to me, crown of success on the candle that will represent me. I have master oil, power oil and king solomon too. I may change it and follow your advise by burning yellow and purple candles with a petition underneath rather than using them like figure candles. Yes write your petition towards your desired outcome. I wouldn't use Bewitching oil in you blend, as that is intended to create sexual allure and mystique. Your other choices sound fine. Personally, I usually do not use candles to represent people unless I am working for love. I use them to pray for a wish, desire, goal. Like sending a prayer up to God and to empower my work. You could use them like figure candles but the work could me limited if you do not have personal concerns of the people they represent. I cannot tell you how to write the petition because the goal you want is specific to you. If it was to be noticed for a promotion I would talk about the position you want or goal in the petition. If it is general, I would talk about shining like a star to the three directors. I would ask to be recognized for your hard work and talent. Crown of Success is perfect for this work and I would focus on that if you have career goals. I tend to use Bewitching to attract attention almost like Look Me Over but with that extra "She looks beautiful and interesting, I need to know more" way. Like Miss Athena suggested, it adds mystique with a sexual note. I'm confident you can put together some great work with what you have. The important parts are the intention, prayer, and layers of the work. Not just lighting a candle or wearing an oil. Layers working toward one goal is powerful stuff especially if you have one shot. Wow! I have a lot to share. Plus, I have several questions. I'm a multi talented person. But, my passion is writing. Lyrics, songs, poetry, short stories. At the same time I make bowls, candles, and soaps all infused with majick and prayer. Is it possible to find success in all? I need to buy a home big enough for living and working. I know, I know, that's a lot. It's so much I dunno where to start. The writing will bring me a lot of money. I buy all my supplies and a new home. My question... Which forum topic would point me in the right direction? Many ppl have made promises of collaboration. But, none have come through. Some, said they wanted me to ghost write for them... you guessed it "none have come through". Please, point me in the right direction. I read about one of our members getting a root worker to help her with buying a house. Question: with all my concerns should I get a root worker to help me with my career? I'm fresh in our religion. I need this to work. Not saying I don't believe in my self(I do 100%). I'm wondering, being that a root worker has more experience her performance may be faster and stronger. Again, I'm a baby at this. I can't afford to mess up. My success(of the career spell) means everything to me. I need all the power and help I can get. Is it possible to find success with your passion? Maybe, maybe not. I would book a reading by a member of AIRR. They are all readers and rootworkers and will be able to answer that question. You may have to wait a bit for everyone to recover from the holidays, but that will give you time to really formulate a good question. What do you consider success? You mention buying a large home. Is that success? Maybe they will see a helper in your future or a move. I would defiantly start with a reading first and base your rootwork off of it. I hope this helps. I know what it's like to have a lot of hobbies / passions but sometimes you have to start with one and it will help build the other. You should find out which one to start and focus on. I'm not a mod so I can't transplant your post to a correct thread, sorry. Thanks . To me success is happiness. Your right. I need to formulate my question in the he correct manner. When I get nervous I ramble and run on. I think I know what path to take. I've been reading about many avenues to take. The house is needed for business not success. 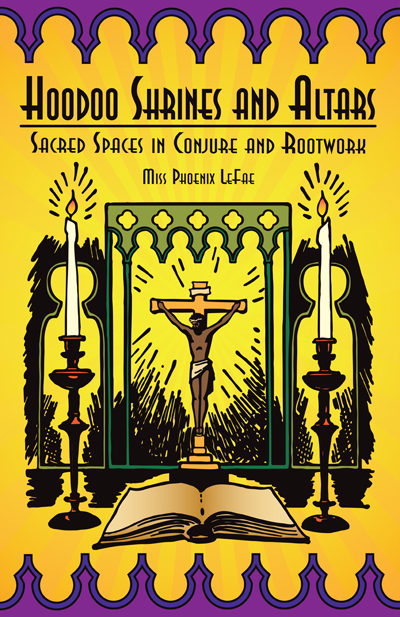 Hoodoo is not a religion is a practice that is predominantly made up of protestant Baptist African Americans. The work you are interested in it seems is crown of success, wealthy way, attraction and steady work. A reading is a great place to start and see if their is a reason why the others did not follow through, perhaps a crossed condition, closed road, etc. Then spiritual baths to cleanse with candle work and/or mojos to wear. Psalms 23 is traditionally used for success as well. Thank you for the update. I'm glad to hear you received compliments from your team. Sometimes it can be hard for ambitious people to get ahead and not step on toes. If you can stand out among the crowd and have people, even the competition say good things about you, well that is a step in the right direction. "Oh, so and so? Everybody likes him/her." Keep at it and you'll go far with allies. As for the director, hey, all it takes is one to remember you when a higher position opens. "I know who would be perfect for this, Pegasus!" Hello! I was hoping to get some help here. I was recently fired from my job along with a friend, we are hairdressers and are going to be opening up our own studio. We had this planned for a later date but the being fired has made us realize that this has to be done ASAP. That being said and after reading some of the post here I wanted see if I can get a little help with a spell as to what I should be using/doing as to make my situation turn out for the better. As of now I'm planning to do a cleansing bath to remove all the old bs from that other place. After that I was thinking of purchasing a crown of success mojo hand since I don't have funds to make one on my own. I was also thinking of making a honey jar to make sure my that our clients follow us and the ones that do are the sweet ones. I have some things like five finger grass, bay leaf, john the conqueror, money drawing oil, attraction oil and Cleo may since i work with a lot of men and they tip me. I also have some money drawing sachet powder. I can invest in a few things if I need to. I'm planning to tell my friend who I am going into business to do these things as well. Since me getting fired was super sudden and I don't have a check coming in from them at all I'm trying to do this as quickly as I can. Luckily I am starting an online job in March but I wont get a check from them till about three weeks. Hairdressing is my main bread and butter and I can do it from home and a mobile app in the mean time till we get started. But we have to move fast since the studio space we want to het into fills up fast and there are only few ones open at the moment. I wanted to work on making sure that I do all the right things to open a successful business for her and I. At the end of all of this we just want to be financially independent and successful and not have to work for anyone ever again. Thank you all for your time and help. I just answered your other post before seeing this, so please read that response and thank you for the additional information you posted here. If you will be starting your business from home, then in addition to the baths you are taking to clear out any spiritual gunk that might be clinging to you (a very good idea - well thought out! ), you should also cleanse your home with Chinese Wash, top to bottom and back to front, to give you a sparkling clean new base for your business. You can use many products to draw and attract success. Think of the different aspects of the desire and use work to support them. forth Pentacle of Jupiter for wealth and success.